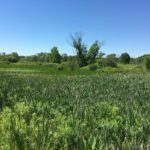 Hiram College has added 152 acres of protected woodlands and wetlands property as part of its James H. Barrow Field Station east of the college’s main campus. 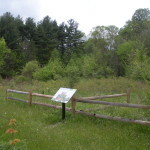 The Land Conservancy partnered with the college to acquire the property, which was formerly owned by Isaac Yomtovian and is adjacent to the Field Station.The land was acquired as part of the Ohio Environmental Protection Agency’s Water Resource Restoration Sponsorship Program. 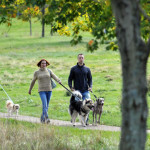 The transfer expands the Field Station property to nearly 550 acres. The College and the Land Conservancy have been working for almost two years to secure the property, which will allow for the protection of approximately 1,625 linear feet of Silver Creek, one of four designated cold water streams of the Mahoning River Watershed; 3,444 linear feet of Eagle Creek into which Silver Creek flows; and other wetland habitats. 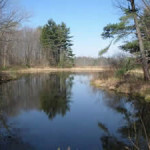 As part of the OEPA program, the Land Conservancy and the College will provide for the restoration of nearly 1,630 LF of Eagle Creek, which should create hydrological benefits for the Village of Garrettsville, which sits downstream from the protected property. Work on the restoration of Eagle Creek will be managed by the Davey Resource Co., and the Land Conservancy will continue to monitor progress and usage of the land as part of its annual stewardship responsibilities. Hiram students and faculty will be able to access the property as part of their environmental studies, biology and other courses. 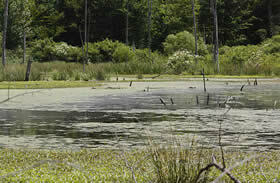 The Field Station already mounts numerous water quality, wetlands and wildlife study projects. Chris Szell, Associate Director of Conservation Projects and Stewardship for the Land Conservancy, said the WRRSP program “is an extremely valuable funding sources” to protect natural resource-rich properties like this one. Municipalities, such as MSD of Greater Cincinnati pursue low-interest rate-loans from the WPCLF for planning, design or construction of wastewater, sewer and storm-water infrastructure projects. These municipalities have the opportunity to further improve water quality by sponsoring a WRRSP project that addresses nonpoint source pollution through the protection or restoration of streams and wetlands.